Become more innovative, informed and experienced in today’s sophisticated financial landscape. Strengthen your understanding of financial products and investment portfolios. By earning a four-year B.B.A. of Financial Economics degree, you’ll establish a strong professional foundation in both the theory and application of critical economic principles. 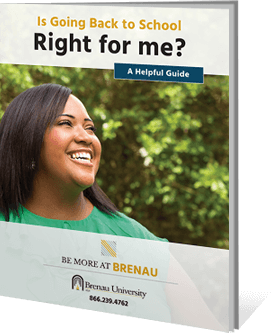 Brenau University’s 140-year history of educational innovation means you know you’re earning a bachelor’s degree you can be proud of. In the online B.B.A. in Financial Economics program, you’ll gain solid business fundamentals through our general bachelor of business administration curriculum. Then, you’ll take classes specific to finance to complement your core business courses – and you’ll still graduate in the same amount of time. In addition to the core B.B.A. curriculum, you’ll take the following finance courses to complete your degree.